The Sheep Whisperer: STINGRAY TAILS! 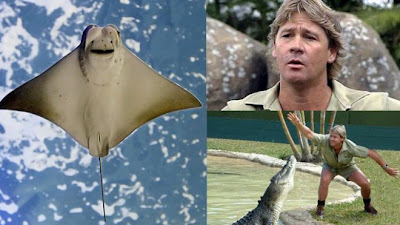 When ewe mention Stingray,one of the first people who comes to ewe-r mind is Steve Irvin,"The Crocodile Hunter"! 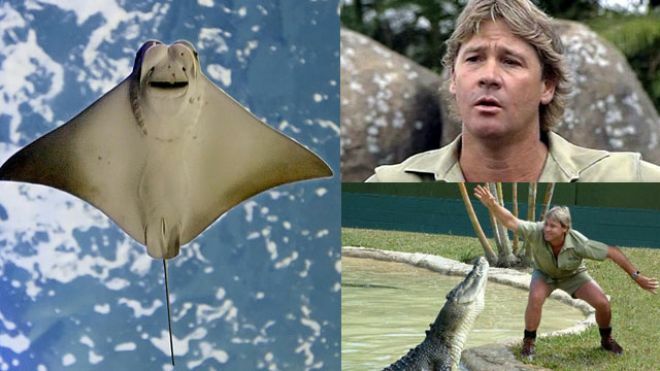 Steve was accidently killed by a giant stingray while filming a documentary off the Great Barrier Reef of Australia in early September of 2006. Although terribly shocking news, there was a backlash of people's fears of stingrays intensifying after the accident! Steve will be long remembered for his animated TV character! 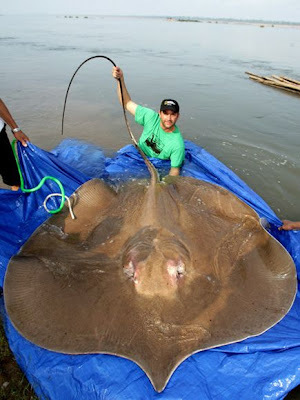 Steve,while filming with his cameraman, decided to ride a giant ray & came over the top of it. The ray apparently felt threatened & whipped its tail swiftly upwards, impaling Steve in the chest with its 6 inch razor-like barb! Steve attempted to remove the serrated barb, which left a hole in the ventricle of his heart & killed him. 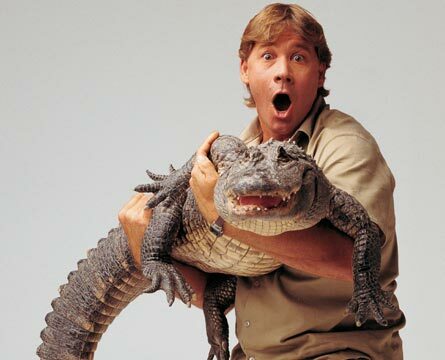 It was a very tragic end to the amazing life of such a beloved husband, father, & television "death-defying" personality! We are thankful to Ewe & ewe-r family for all the memories! Stingrays are absolutely fascinating creatures that inhabit warmer regions of both salt & brackish waters around the globe. 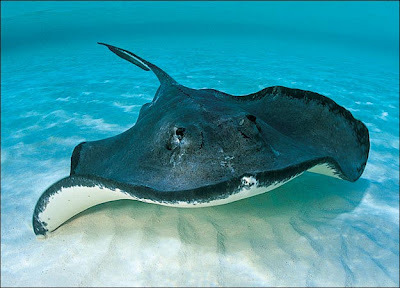 There are approximately 70 species of stingrays worldwide, which are also known as "flattened sharks"! Even though rays are similar to sharks, they find themselves on the shark's "grocery" list & must avoid them at all costs! Ewe have to be very careful not to startle me! Ewe"ll get the "point" if ewe don't! Stingrays are very graceful to watch while they are swimming, propelling their up to 7 ft. bodies with relative ease! They live from 15-25 years & grow as large as 7 feet long & weigh up to almost 800 pounds! They are fascinating creatures that are normally docile by nature. 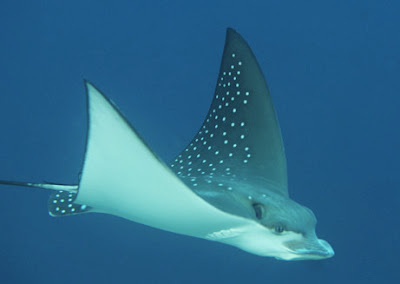 For example, there are a variety of vacation spots that promote swimming with rays for recreational purposes! 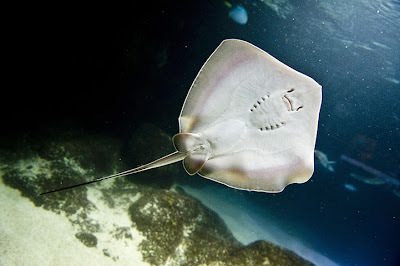 Stingrays, however,if threatened, will use their venomous, serrated barb located on their tail. Please don't comment on my size! I've scheduled a tummy tuck! Stingrays take a mostly defensive posture, resting on the ocean botton camouflaged with sand. Their body color allows them to blend really well with their environment.They hope to go unnoticed by their predators, such as sharks, sea lions, & sometimes other stingrays! With their mouth facing down, rays rely heavily on their sense of smell & their electro- receptors to assist them in catching their food.They are carnivorous & their main diet consists of snails, crustaceans, & fish. I'm a bottom feeder that's on top of my fishing game! Stingrays mate during winter & develop for about 9 months in the mother's womb.There the litter will feed off the yolk in their egg sacs & drink milk in the mother's uterus. Finally, a litter of up to 15 "pups" will experience a live birth, immediately able to swim & hunt with their mother! Being born was OK but I'm ready to "Move on up with the Jeffersons"! Sheep have a similar disposition to stingrays. They are docile in nature, yet do not like any surprises. When their panic button is pushed, they stampede, since they can't whip their tails containing poisonous barbs! Fortunately, they have a "Protector", equipped with a rod & staff, to intervene on their behalf! Notice to all predators:Beware of Staff Infection! I got Ewe-r back!Ewe must try to Trust Me! 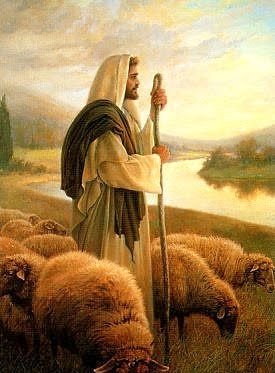 Today, as Ewe walk with the Shepherd, enjoy the security that He offers as Ewe-r Protector. There is nothing that Ewe will face that He can't handle! Good seeing Ewe too! 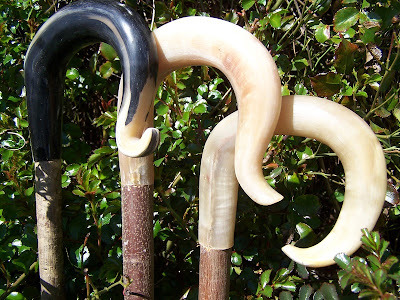 I want to thank Ewe for commenting on the Blog! It's always an encouracement to see God blessing His sheep! God Bless Ewe! Well Thank Ewe Luke! I'm totally blessed that Ewe do that! I pray that the Lord uses the Blog to encourage Ewe in Ewe-r journey! I hope Ewe also get some real laughs! God Bless Ewe!